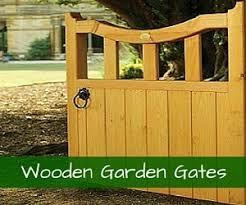 Garden Gates Direct are experienced retailers selling a wide variety of garden gates which are excellent value for money. Stylish, robust garden gates don’t have to cost a fortune, and we pride ourselves on providing high performance products at reasonable prices. 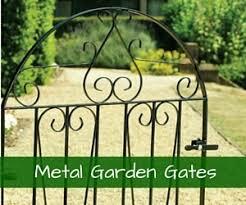 We have the UK’s widest selection of metal and wooden garden gates and driveway gates, giving our customers plenty of choice for their property. Investing in a gate has numerous benefits, giving you added security and privacy with one simple solution. It’s aesthetically pleasing as well, adding character without requiring any major modifications to your property. We have a number of different styles and designs to choose from within our collection so you’re sure to find cheap garden gates which suit your tastes and preferences. Whether you have a period property or a contemporary modern building, we have the gates to complement it. Ordering is simple and we have a fast nationwide delivery service. 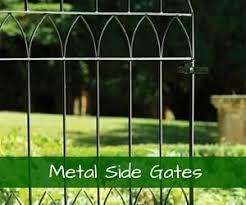 When choosing a garden gate, it’s important that you have plenty of choice. You want to be able to choose something which works for your style and budget, and we provide the ideal combination of variety and value. 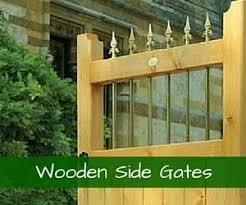 We work to ensure that all our gates are of a high quality and will stand the test of time once fitted. With our comprehensive knowledge of the industry and dedication to providing excellent products, we’re able to source cheap garden gates that exceed expectations and we have many satisfied customers. Our gates come in many different forms – we have metal gates in standard and tall sizes, wrought iron gates and wooden gates in a mixture of styles. Metal can create a traditional appearance or a modern up-to-date look depending on your preferences, whereas wood has a classic, timeless character. We also offer a bespoke made-to-measure service if you want a custom design or a gate built to the perfect size. You can order your products quickly and easily online or over the phone, whichever you prefer. Delivery is available throughout the whole of the UK mainland, and you won’t have to wait around for your order – the majority arrive within 10-14 working days. With our experience of the industry and high quality product range, Garden Gates Direct are experts in meeting customers’ individual needs. We have a wide variety of products available, so whether your main concern is security, aesthetics, or both, we’ll be able to help. Our gates come in a variety of wood and metal finishes so whatever it is you’re looking for, you’ll be able to find it on our site. 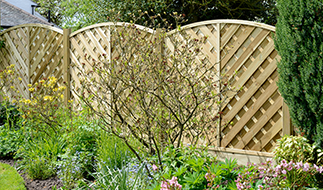 Once you’ve chosen from our extensive collection of cheap garden gates, the ordering process couldn’t be easier - we have excellent online and telephone systems which will make it as quick for you as possible. Deliveries are available across the UK and your order will arrive with you in a matter of days. If you have any enquiries, our team will be happy to help. We have plenty of knowledge and experience, so we’ll be able to answer your questions promptly. 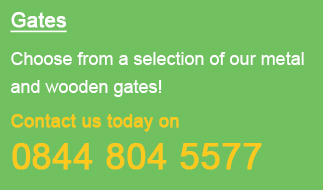 Get in touch on 0844 804 5577, email sales@gardengatesdirect.co.uk or use our online contact form to enquire.